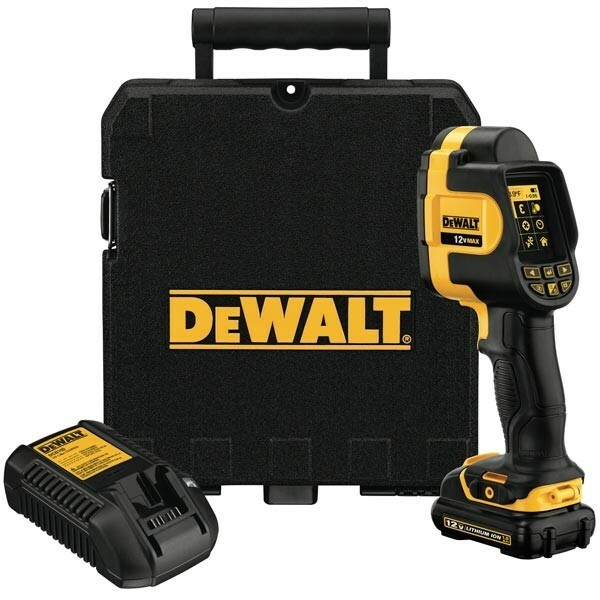 We rarely think of $999 as being affordable, but DeWalt's latest 12V Max tool - an ultra compact thermo imager - is going up against products that are more than double its price. So what has DeWalt come up with to compete against the likes of Fluke and FLIR? The big advantage DeWalt has here is price, but along with a lower price usually comes a loss of features. Surprisingly the new DCT416S1 seems to be feature rich. 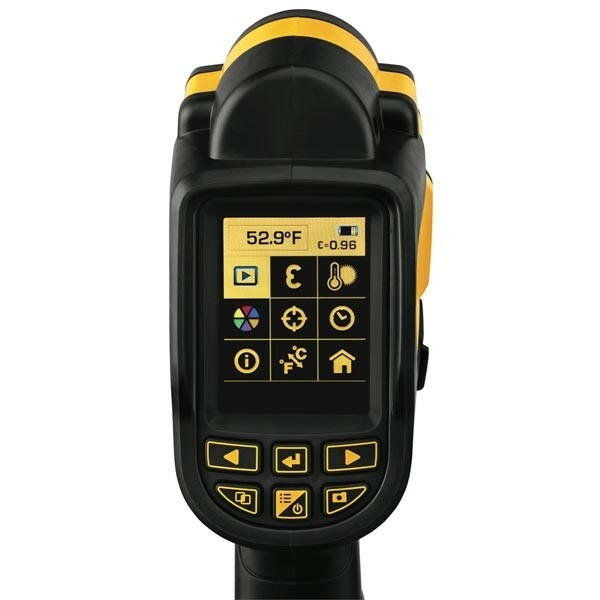 The DCT416S1 has a temperature range of 14-degrees up to 480-degrees F and should be more than enough to detect heat loss or hot spots. 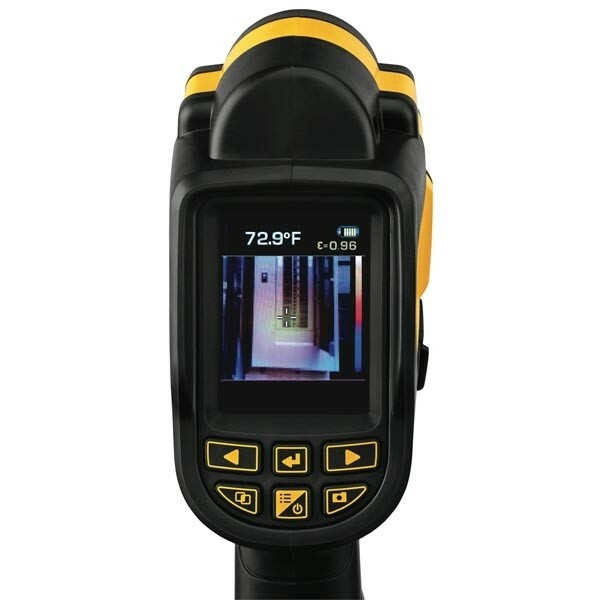 Two imaging modes can be used to better locate heat issues, color mode to show temperature differences, and visual mode to show you images of what the camera sees on the 2.2-inch color display. You can also blend the two together to get the best of both. The DCT416S1 also has a Micro SD card slot which can be used to save photos to share or include in reports. The DCT416S1 kit also includes software to help you write reports. The DCT416S1 kit will include one DCT416 imaging thermometer, one micro SD card, report writing software, one 12 Volt MAX Lithium Ion battery pack, one fast charger and a storage box. It is expected to retail for $999 and should hit store shelves this June.